Multi award winning Designer Jules Moore, of JM Landscapes runs a company that caters for all budgets and styles of Landscaping . Over her 35 year career she has embraced all things " horticulture" , building work - landscaping & Nurseries. The company runs their own plant nursery in Whenuapai , where they grow the majority of their plants, & can offer services like a simple plant layout - staging for the owner to plant themselves .. and then of course landscaping at the other end of the spectrum as well.... Whether you have a lifestyle block, or home, small or large job ...we can cater for you, offering landscape designs, Edible Garden - orchard plans & Landscape construction, ( including lighting & irrigation.) Our landscape designers embrace a wide range of styles from formal classical ( French ) design, to contemporary, subtropical & Zen designs. 30 Years of Installing New Zealand Made, New Zealand Designed, Outdoor & Garden Lighting. Over the last 30 years, our family based business has helped thousands of our clients who have trusted us to transform their gardens and outdoor landscapes into stunning interesting and magical outdoor rooms. Our clients have confidence in us because we manufacture the lights and give a 5 year warranty. We have all the spare parts so that lights can be repaired if they are damaged. Our clients are often amazed at the significant improvements that we achieve by reconditioning, upgrading, converting to LED or strategically repositioning fittings. Whatever your exterior & outdoor garden lighting needs are we can help you. This is what we do! 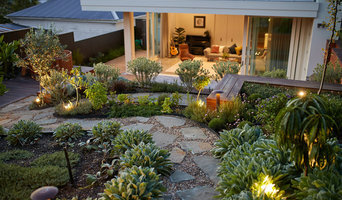 We are the experts in exterior & garden lighting installation and servicing. Professional and very easy to deal with, efficient and realistic. Honest and reliable, taking inspired ideas and creating unique outdoor spaces for people, in their homes and work places. Virtuoso’s aim is to provide excellence in landscape design and construction. As well as being passionate about landscaping, our director Paul Byford has considerable experience in the civil construction industry. We have substantial knowledge of horticulture coupled with proven expertise in construction. Paul has assembled a dedicated, knowledgeable and fully qualified team who are committed to providing best practice in all areas of their work. We will work with you to design and build a bespoke garden that is functional, innovative but above all visually stunning. 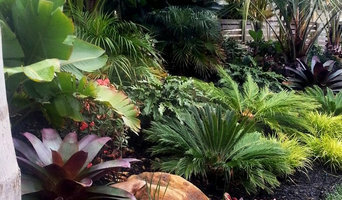 Peter has been landscaping for over 25 years in the Auckland and Bay of Plenty regions. He has owned and operated his own business since 1990. He loves to engage in interesting, full-scope residential projects that require creativity. Peter especially enjoys connecting people with their environment and excels in bringing to life the ideas that his client's have, creating from their initial concept through to the finished landscape. A result that will ultimately work in harmony. Peter values his belief of creative and practical solutions. He is actively involved with each aspect of the business and is a highly skilled and experienced project manager, designer, horticulturalist and landscaper. 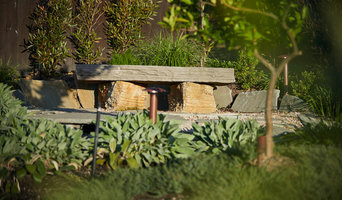 We work closely with clients to create sustainable, functional, and stunning landscapes. Beautiful environments are achieved through good design and skillful selection of plants and materials. We create landscapes and gardens that reflect your style, taste, and personality, and align with the architecture and wider surroundings Upgrading your outdoor area should be an exciting and rewarding experience. Our industry knowledge and familiarity will save you time, money, and stress, and ensures that the improvements are of a high standard. Add value, enjoyment, and increase the environmental attributes of your site. Expert landscape design and implementation. 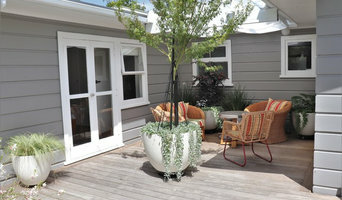 LANZSCAPES - operated by Steve Dodds, is a landscape design business located in Parnell, Auckland, New Zealand. 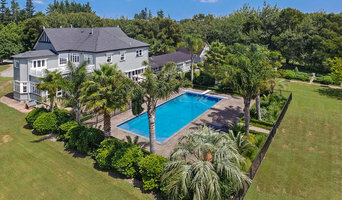 Steve has been dedicated to the design and realization of high quality and distinctive residential, commercial and resort landscape solutions, both within New Zealand and abroad since 1988. Working with clients to achieve what they want is a great joy. I am particularly interested in maximising the potential of a site and in the way people want to live with their landscape. I offer a full service from design to project management. Elizabeth Patching holds a Bachelor of Horticultural Science(Environmental) degree, has over 15 years of practical experience in landscape design, and an intrinsic understanding of space, land, and aesthetics. Landscape design is her passion, creating beautiful spaces in which people and plants like live and grow. Among Elizabeth's many and varied successful projects are urban residential design, rural residential design, residential lifestyle block layout including shelter and fencing, school and pre-school playground design, along with consultation and advice. Elizabeth works closely with her clients, realising the importance of flexibility within an environment of changing needs, and works tirelessly to translate these needs into good, workable, practical design. "Good landscape design is about the bringing together of the key components of lifestyle, site, finance and my client's personal taste to create living environments that are well designed - easy to live in and beautiful to look at." Houzz is a great place to start your search for the right Papakura landscape architect or designer. You can either browse outdoor photos and find professionals linked to them, or you can browse our professional directory, see their latest projects, read reviews, and narrow down your search based on your style preferences. Once you’re down to a few, reach out and get some quotations to make your final choice. Here are some related professionals and vendors to complement the work of landscape architects & landscape designers: Landscape Contractors & Gardeners, Garden & Landscape Supplies, Arborists & Tree Services, Lawn & Sprinklers, Decking & Patios.